When snow falls in Saratoga Springs, many kids view the outdoors as a winter wonderland. While winter is a great time of year for your kids to have fun outside, there are a few dangers to watch out for, including cold temperatures, heavy snow, and ice. To protect your kids from the wintry elements, parents should look over the following safety tips and make sure everyone is prepared ahead of time. Did you know kids lose body heat faster than adults? It's true, and as a result, they are more susceptible to frostbite and hypothermia, which are extremely dangerous. The best way to prevent these conditions is to dress your kids adequately for the cold temperatures - this includes snow boots, a hat, gloves or mittens, and removable layers (a waterproof outer layer and a moisture-wicking and warm inner layer). 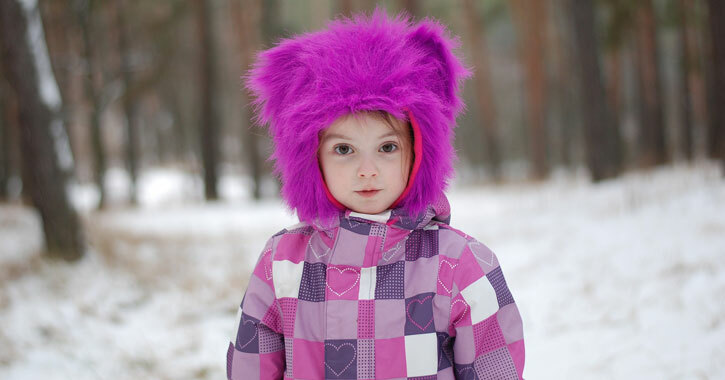 Although your kids might complain about being so overly bundled up, it will help them stay warm throughout the season. Do not let your children play outside when there are extreme weather conditions, such as a snowstorm. If temperatures are around -16 degrees Fahrenheit, do not let your children outside to play. Have your kids take regular breaks and go indoors for a warm drink. Check to see if your kid is warm and dry; cold sweat or wet clothes can be	a risk. Make sure a warm shelter is nearby wherever your kids are playing. Use a buddy system so your kids are never outside playing alone; kids under eight should always be supervised by an adult. To you, it may sound like common sense to avoid standing near roads during winter. In contrast, children may be more excited about playing in the snow than thinking about staying safe. Do not go near snowplows and snow blowers. Play away from roads, fences, and open water. If you have to cross a road, be extra cautious. Icy roads can make it hard for drivers to stop quickly. Stay off of snow banks on the side of the road. Never aim snowballs at people or cars. Throw them at safe targets, such as trees	or snowbanks. Do not build a snow fort or tunnel unless an adult is watching. Snow forts should be built away from busy roads and areas (sledding areas, trails, etc.). Do not put metal objects in your mouth. Lips and tongues can easily freeze to metal objects in winter. Do not hang out near roofs. Heavy snow on roofs and dangling icicles are dangerous. Wear sunscreen on exposed skin. Snow tubing and sledding are some of the most thrilling outdoor winter activities for kids. From local sledding spots in Saratoga Springs, Wilton, and Ballston Spa, to the fantastic tubing park at West Mountain, there are quite a few options to choose from in the region. While some larger businesses have their own snow tubes for customers to use, you'll have to bring your own to smaller hills and slopes. For snow tubes, buy one that isn't too big or too small for the person who will be using it. For sleds, find one with handles and smooth edges. Avoid sledding hills near roads, trails, trees, fences, or other obstacles. Watch out for crowded slopes and other sledders. Never allow a kid under the age of five to go down a hill alone. If your kids are young, have them wear a ski or hockey helmet. If you can, have one parent at the top and one at the bottom of the hill. Kids should sit or kneel on a sled, and sit down inside a snow tube. Many kids and adults can't wait for snow to fall so they can go skiing and snowboarding. The closest peak to Saratoga Springs is Willard Mountain over in Greenwich, but if you're planning on a family ski or snowboard trip, West Mountain and Gore Mountain aren't too far away. Wear a proper ski helmet, wrist guards, and goggles. Always watch for other skiers, snowboarders, and potential obstacles. Control your speed. If a hill is too difficult, try one designated for beginners. Young children should be supervised by a parent, guardian, or certified instructor while skiing or snowboarding. Stay on marked trails and open ski areas. A frozen body of water or ice rink are popular spots for all kinds of winter activities. However, if winter temperatures begin to fluctuate, it becomes difficult to tell if the ice is safe to be on or not. If you don't trust the ice outside, take your kids to an indoor ice rink, such as the Saratoga Springs Ice Rink. If you want to bring your kids to a public ice rink, such as the ones at Saratoga Spa State Park and Gavin Park, you'll want to know how thick the ice is. The first step is to dig a hole and measure the ice. The safest type of ice is clear/blue, and it should be four inches thick for one ice skater and around eight inches for larger crowds. White and gray ice is much weaker and is not recommended for ice skating. The most important ice safety tip to remember is that a frozen body of water isn't uniform. Don't assume all of it is safe if you only measure the thickness of one section. By teaching these safety tips to your kids early on, it's more likely they'll remember them over the years. Now, get outside and enjoy this winter weather with your children - safely!